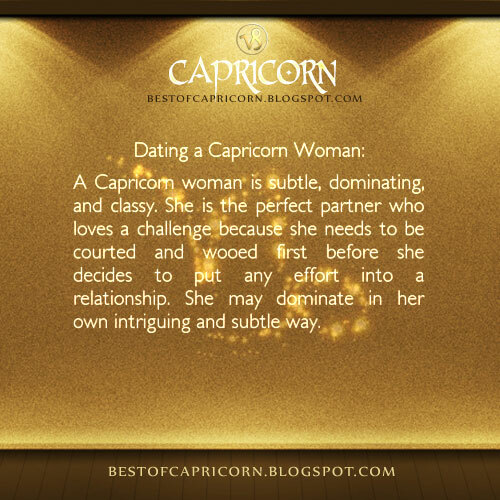 A Capricorn woman is subtle, dominating and classy. She is the perfect partner who loves a challenge because she needs to be courted and wooed first before she decides to put any effort into a relationship. She may dominate in her own intriguing and subtle way.